Carolina's keepers of the South (left to right, back row first): Bryan Giemza, Chaitra Powell, Rachel Seidman, Steve Weiss, Elizabeth Engelhardt, and Malinda Maynor Lowery. Today, Engelhardt chairs the Department of American Studies — a home for students passionate about the South. Its southern studies curriculum encourages both graduate and undergraduate students to focus on new definitions of southern cultures. Now chair of the Department of American Studies, Elizabeth Engelhardt says her decision to apply for a job at UNC was largely influenced by the fact that she’d always come to the Wilson Special Collections Library to conduct research. UNC graduate student Hannah Herzog, for example, studies the infusion of Holocaust survivors in the South after World War II — an event that “changed the dynamics between African-American southerners and Jewish southerners,” Engelhardt explains. “This shift helped deepen the possibilities of collaboration to break down Jim Crow laws.” For the project, Herzog interviewed 15 Holocaust survivors from Atlanta, Birmingham, and Charleston. The future of southern studies at UNC, Engelhardt stresses, revolves around connections with communities. How can we work together? How can we learn from each other? “This is a moment for UNC to think about that 100 years of commitment to southern studies,” she says. 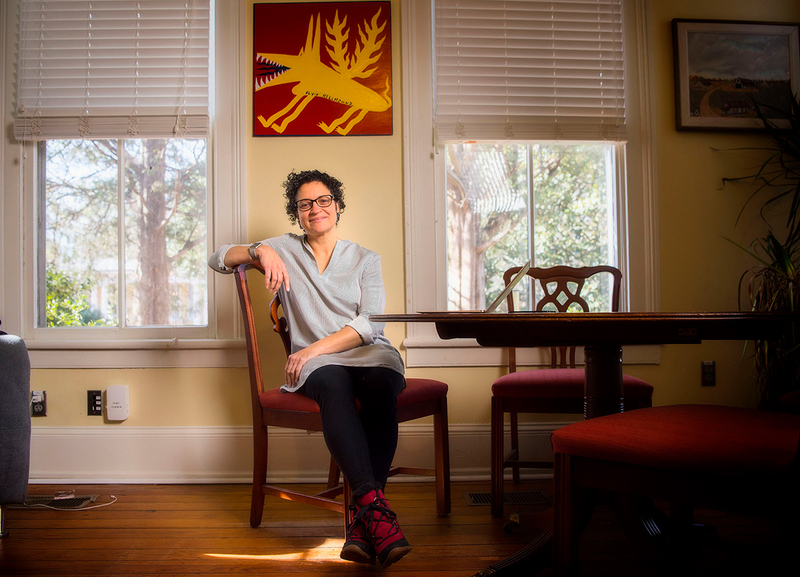 “To think about what has grown out of that.” To do that, it’s important to first understand where Carolina’s passion for southern studies comes from. “Carolina is, unquestionably, the center of the universe for southern studies,” former UNC Chancellor James Moeser once confided to Carolina Arts & Sciences magazine. But why? UNC houses more than 20 million artifacts, 250,000 audio recordings, and 6,000 interviews documenting the South. 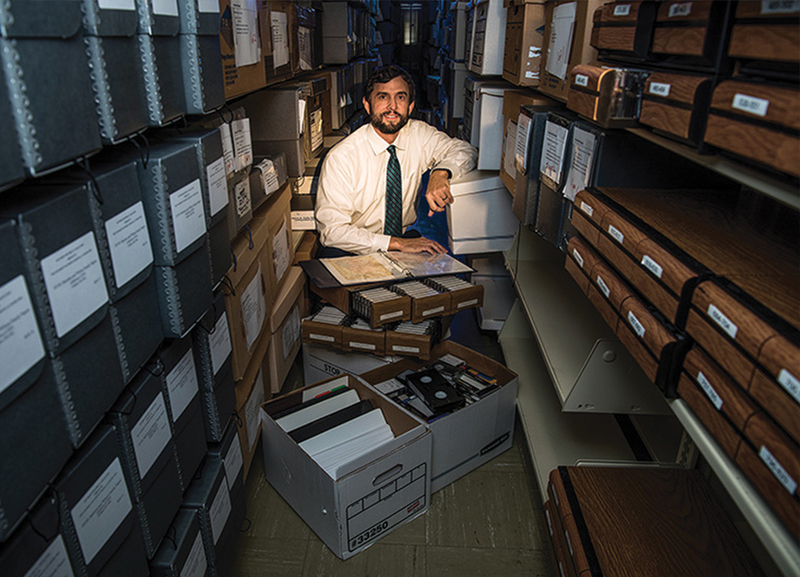 It’s home to the award-winning and first-of-its-kind Southern Oral History Program, the record-producing Southern Folklife Collection, social science game changer The Odum Institute, and one of the oldest and, perhaps, most renowned archives of Southern materials in the world — the Southern Historical Collection. It is these four institutes and more that draw scholars from around the globe to Carolina. “Hamilton felt the southern story hadn’t been adequately told,” says Giemza, who directs the collection today. “So he famously went jaunting around the region is his faithful Ford. It was a time when material was very widely available and was considered, perhaps, not that valuable or interesting.” So he canvassed the whole region — including the voices of not just the southern elite but former slaves, mill workers, and farmers. Bryan Giemza sifts through Southern Historical Collection archives on the fourth floor of Wilson Library. The first documents for the collection were gathered nearly 100 before its start, when former North Carolina Governor David Lowry Swain became president of UNC in 1836. During his term, he created the North Carolina Historical Society, collecting important newspapers and manuscripts. Upon Hamilton’s retirement in 1951, the collection was comprised of just over 2 million items. Today, it has more than 20 million. As Carolina’s oldest archive, it is the foundation that other university centers and programs have built upon. “The Southern Historical Collection is and remains the anchor,” Giemza says. And it continues to grow. Today, scholars aren’t the only people using the collection — genealogists, community members, teachers, and countless others also take advantage of its resources. That open access is what’s shaping the future of the collection, according to Giemza. Instead of the age-old tradition of the scholar researching a specific topic, he envisions a space for the community to share their personal histories — something he feels is often overlooked. 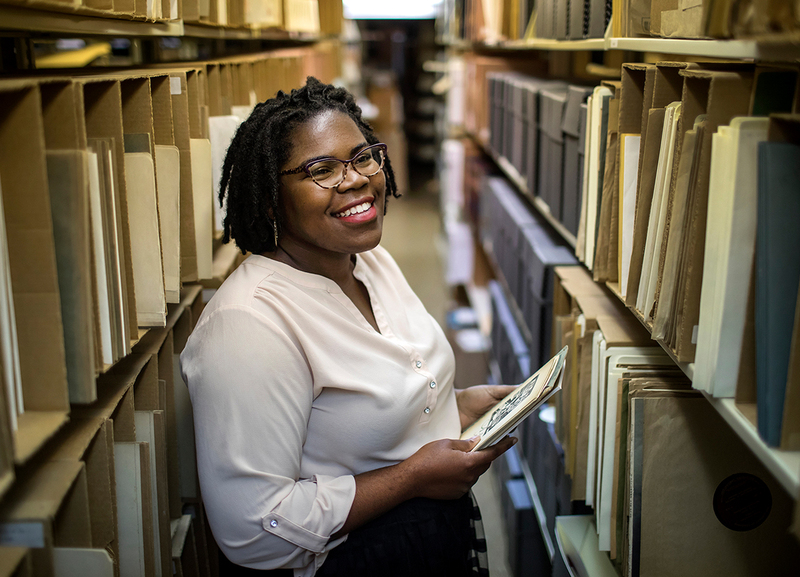 To push this idea forward, Giemza hired archivist Chaitra Powell in 2014 to manage the African-American collections. She works closely with individuals and communities to curate their own archives, empowering them to preserve their histories in their authentic voices. Some of the most meaningful documents to Giemza, for example, are the Robert H. Busyhead papers, unique Cherokee language materials he received from Shana Busyhead Condil. Protecting native materials and traditions entails earning trust and building long-term relationships, Giemza notes, adding that the family appreciated the materials would be used by students in American studies professor Ben Frey’s Cherokee-language classes. “We’re talking about a language whose native speakers number in the hundreds,” Giemza says. “Anything we can do to facilitate the transmission of a living history and culture and bring more attention to it — that’s just very satisfying. During the same period Hamilton was collecting documents across the region, a UNC sociologist named Howard Odum was engaged in a similar project. More than a decade before Franklin D. Roosevelt declared the South as “the nation’s number-one economic problem” in his July 4, 1938 speech, Odum began studying it as such. In 1924, the UNC sociologist founded the Institute for Research in Social Science (IRSS) — today known as The Odum Institute — to “study the problems of the South, which were many,” according to John Shelton Reed, former UNC sociologist and The Odum Institute director. Odum recognized that taking on this feat would involve more than surveys of the textile industry, tenant farming, and race relations — because, during this time, pioneering works on Southern culture were abuzz. He soon transformed his efforts into a university-wide project, involving faculty from various departments including criminology, demography, government, and southern history. He also helped found, in 1922, the UNC Press — the first of its kind in the South — which, in its first decade alone, published 31 books written by faculty and students within the IRSS. Where Odum sought to address the problems of the region, the Southern Oral History Program (SOHP) showcases the people working toward solutions. The program began in 1973, when scholars first started to embrace the study of social history — a concept founder Jacquelyn Dowd Hall agreed with and strived to share through the voices of everyday people, not just the upper class. 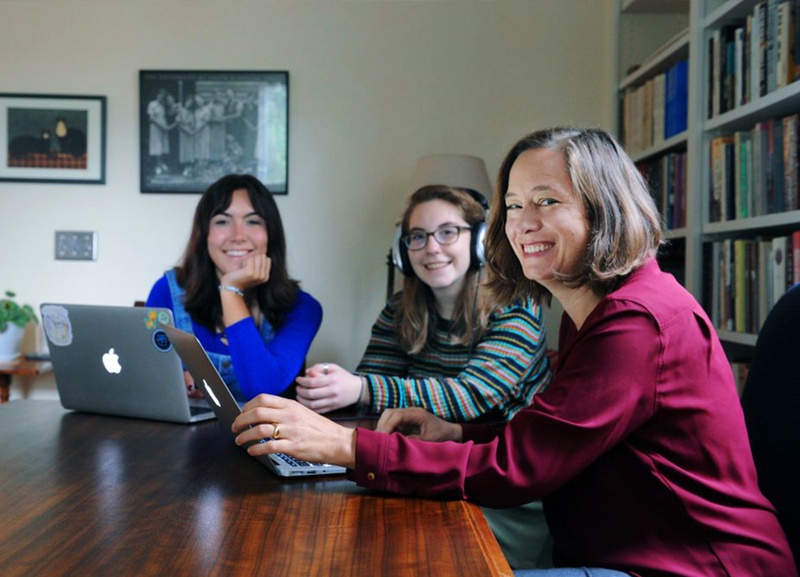 In the summer of 2017, undergraduate students Sydney Lopez (left) and Liv Linn completed an internship with SOHP Director Rachel Seidman (right) to produce a digital exhibit called “UNC Foodworkers’ Strikes of 1969,” documenting the largest and longest example of collective activism in UNC’s history. Today, the SOHP houses more than 6,000 interviews with all kinds of people — from farmers-turned-cotton mill workers, to African Americans during Jim Crow, to a Pulitzer Prize-winning author and historian. But these artifacts are just one part of the legacy of this type of program. The other, according to Seidman, is the analyses that Hall, her students, and others have done based on these interviews. “All of that has profoundly reshaped the oral history field,” Seidman says. She points to the program’s Long Civil Rights Movement Initiative, which challenges the narrative that confines the Civil Rights Movement to the South, to one turbulent decade of overthrowing state-sanctioned segregation. It features more than 1,000 interviews that tell the story of a longer movement, one that began in the 1930s and spread throughout the nation and even the globe. “That work has reshaped the way people think, talk, teach, and write about the Civil Rights Movement,” Seidman stresses. The legacy of the SOHP has also continued, in part, from the 1993 founding of the Center for the Study of the American South. Today, the center oversees the SOHP and strengthens its mission through yearly lectures, symposia, art and music events, and its award-winning, peer-reviewed magazine, Southern Cultures. 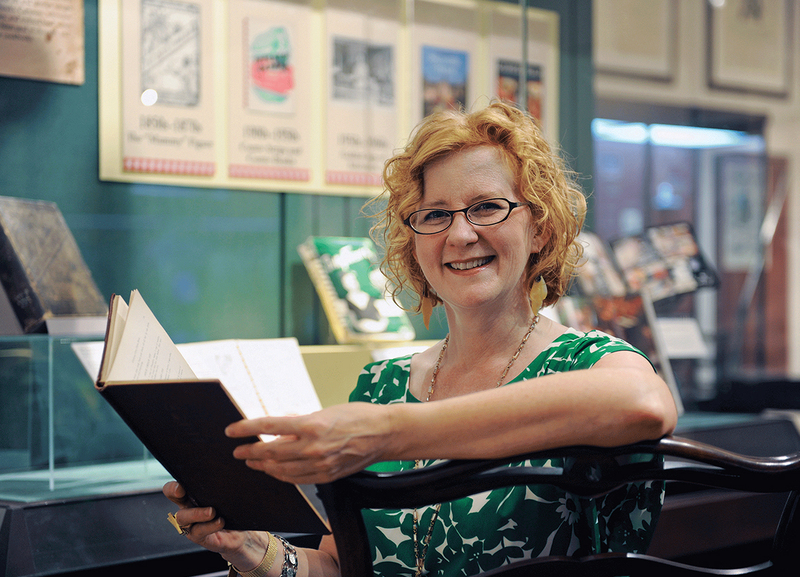 Malinda Maynor Lowery became director of the Center for the Study of the American South in July 2017 after serving as director of the Southern Oral History Program. The Spring 2018 issue, for example, features an article about the Louisiana Shrimp & Petroleum Festival — “the biggest contradiction one would imagine,” says Lowery, chuckling. The story details the intersection of the dying shrimp trade and the destructive oil industry — and how the community has coped with the shift. It discusses what it’s like to be from this region and “embrace the powerful convergence of the city’s divided past and its hopeful present.” And how the community reckons with that and uses it to promote positive change. But voices are just one part of the story. Culture is also largely defined by music and art — and that’s where the Southern Folklife Collection takes the lead. “Blues, bluegrass, country, Cajun, zydeco, gospel, folk, R&B, soul, southern hip hop — and everything in- between.” Steve Weiss recites these music genres with a familiarity similar to counting or saying the alphabet. Like he’s said it a thousand times before. 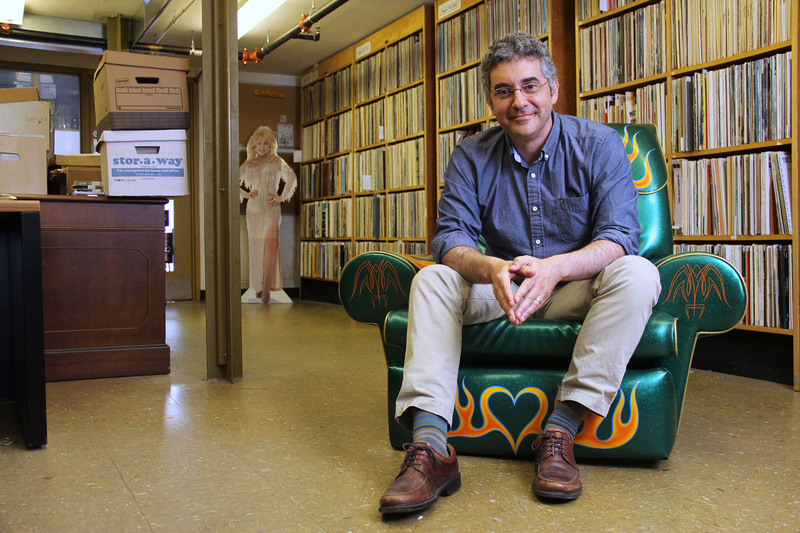 More than 1 million sound recordings reside in Wilson Library’s Southern Folklife Collection. While the collection heads toward digitization, the backrooms on the fourth floor of Wilson Library still overflow with shelf upon shelf of 45s and 78s, cassettes, videotapes, photographs, and more. The collection began in 1968 when UNC folklore professor Dan Patterson compiled a teaching collection for his class on American ballads. What was then known as the N.C. Folklore Archives more than doubled in size in 1983, when UNC purchased Australian John Edwards’ personal collection from UCLA. “John Edwards was completely taken with American country music,” Weiss, the collection’s curator, says. “He started collecting it in the 1950s in Australia, and was corresponding with a lot of early country artists in America who were pretty tickled to get a letter from the other side of the world.” He also befriended other collectors across the globe, a group of which created a scholarship for Edwards to study American folklore in the United States. Unfortunately, he died in a car accident before he could come. He was 30 years old. In his will, Edwards stipulated the collection be given to his friend Eugene Earle, a collaborator in the states. The money Earle and others gathered for John’s scholarship went to preserving the collection at UCLA. In 1989, just five years after UNC’s acquisition, the Southern Folklife Collection officially launched at Carolina. Elizabeth Engelhardt is the John Shelton Reed Distinguished Professor of Southern Studies and chair of the Department of American Studies within the UNC College of Arts & Sciences. Bryan Giemza is director of the Southern Historical Collection within the UNC Libraries and adjunct associate professor in the Department of American Studies and the Department of English and Comparative Literature within the UNC College of Arts & Sciences. Chaitra Powell is the African-American collections and outreach archivist for the Southern Historical Collection within the UNC Libraries. John Shelton Reed is the former William Rand Kenan Jr. Professor in the Department of Sociology within the UNC College of Arts & Sciences, as well as the former director of The Odum Institute. He is also a cofounder of the Center for the Study of the American South and a founding editor of Southern Cultures magazine. Rachel Seidman is director of the Southern Oral History Program and holds adjunct appointments in history, American studies, and women’s and gender studies within the UNC College of Arts & Sciences. Malinda Maynor Lowery is director of the Center for the Study of the American South and associate professor in the Department of History within the UNC College of Arts & Sciences. Steve Weiss is curator of the Southern Folklife Collection within the UNC Libraries and adjunct instructor within the UNC School of Information and Library Science. This entry was posted in Creativity, Society, Time and Tenacity. Bookmark the permalink.